Walmart offers the Sony XB20 Portable Bluetooth Speaker for $50. 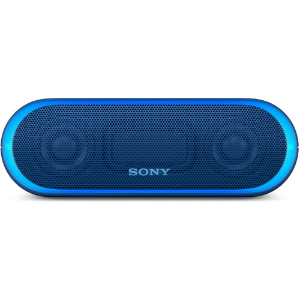 Features: Get your party underway with this water-resistant Sony XB20 Bluetooth speaker. It provides up to 12 hours of nonstop playback, and the single-colored line light ensures your music stands out at night. The EXTRA BASS mode of this portable Sony XB20 Bluetooth speaker enhances the impact of your tunes at dance parties.